Please direct any enquires to here or belleza-lovers@hotmail.com. For silver, it will be under Pre-Order A. 1. Comes in 2 kinds, gold & silver. Thick & will not tangle the eyelashes. Unique brush shape to suit the shape of your eyelashes. Very enduring, curls can maintain whole day long. Will not damage your eyelashes. Easy to remove, just use warm water will do. 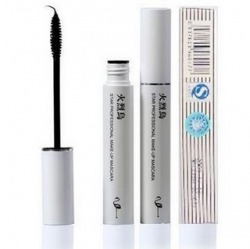 Mainly used to lengthen eyelashes. Able to extend your eyelashes. Has a unique triangular brush shape. 1. Made in Japan, 8g. 2. Has a unique triangular brush. 3. Will not tangle your eyelashes together. 4. Waterproof & will not smudge easily. 2. Waterproof, and not easily smudge. 3. Helps to form the curl/shape in your eyelashes. 4. Due to the unique brush, it will help to brush out your eyelashes clearly & separate your eyelashes so that they would not stick together. 1. Consist of 1 black waterproof mascara & 1 fibre tube. 2. Mascara is 7ml & Fibre is 0.8g. 3. 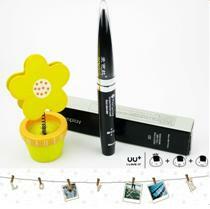 Suitable for short & straight lashes. 1. First, apply mascara, then fibre. 2. Keep repeating step (1) until you are satisfied with the length.